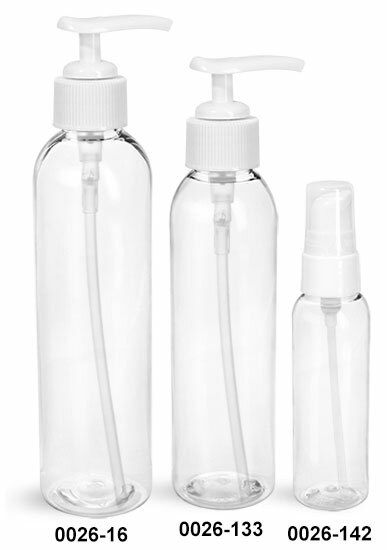 Each bag of clear plastic cosmo round bottles comes with white lotion pumps or treatment pumps. 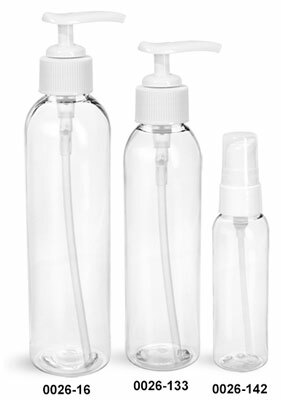 The clear PET plastic bottles allow your unique product to be clearly displayed. 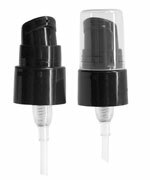 These slender cosmo round bottles could possibly package hand lotions or other skin care products.